Many dancers suffer from specific aches, pains and injuries associated with living a very active lifestyle. I had the privilege of providing acupuncture and cupping treatments to many amazing and talented dancers at the LA Shag Festival a couple weeks ago. These treatments helped to alleviate pain, tightness and injuries immediately, allowing those who I treated to continue dancing the night away. This dancer was suffering from knee pain that first made it uncomfortable to dance, slowing her down and eventually made her stop. Her joint had swelled slightly and she was experiencing stiffness as well as pain from dancing for hours on a hard floor. 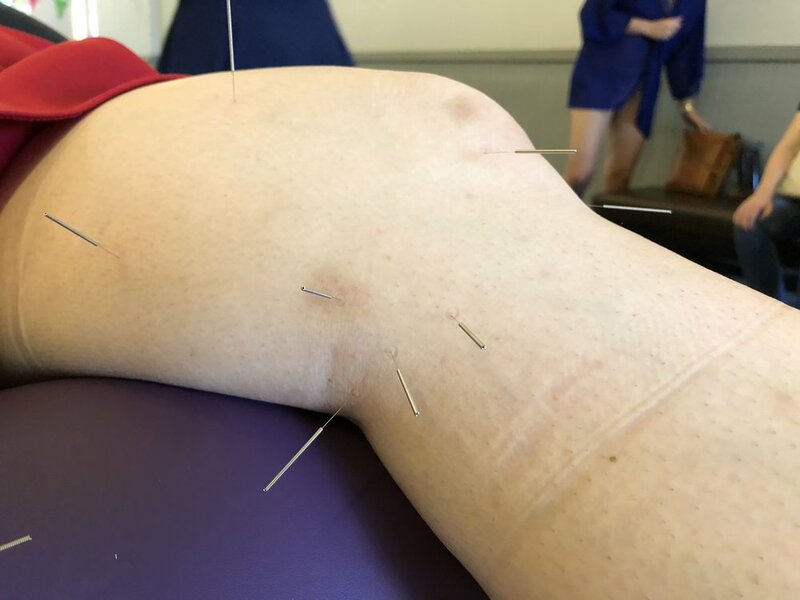 After this acupuncture treatment, and drinking plenty of water, she was back on her feet and able to move around with greatly decreased pain. Knee treatments like this are an easy and pain-free way to alleviate discomfort and swelling, and continue with whatever activity you may want to do. Always remember to drink plenty of water after you are treated to help your body cleanse toxins and heal!